Led by Dave P., ten people and two dogs participated in this hike. Beginning at the Tony Grove Backcountry Trailhead, we started up the Green Canyon - Tony Grove trail. After 1.25 miles, we turned off on the Bear Wallow trail and traveled past Hansen Pond to the Blind Hollow trail. We stopped for lunch near the point where the Blind Hollow trail joins the Green Canyon - Tony Grove trail, which we followed all the way back to the trailhead. This was a great hike. Wildflowers were abundant and the varied terrain made for pleasant walking. It was good to get away from the sweltering temperatures of the valley, too. 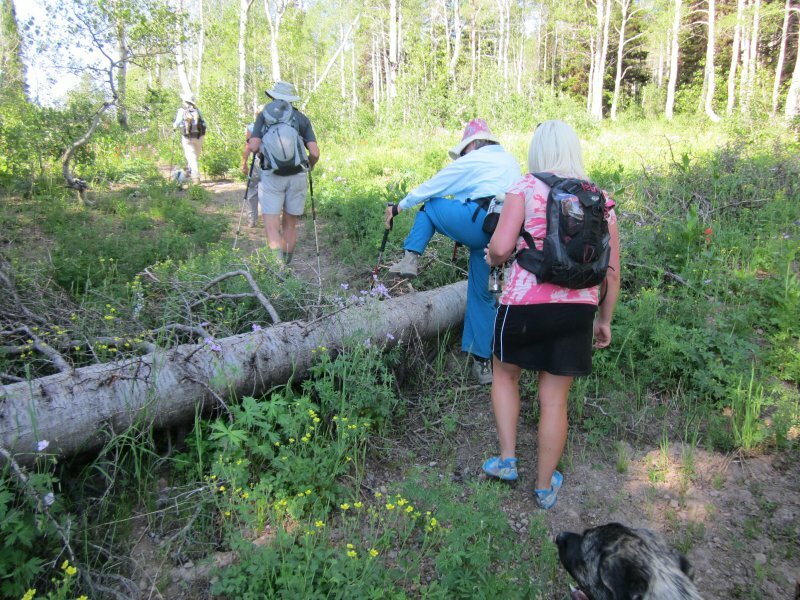 Everyone was able to hike at a good pace, so there was no need to split into separate groups. The human hikers included Dave P., Kathy, Roddy, Monika, Gary, Dave W., Jane, Chris, Jen and Dinah. Canines Chauncey and Fritzi also enjoyed the hike. The total distance was 7.5 miles, with 1800 feet of elevation. We encountered 15 places where fallen trees were blocking the trail, and signs were missing or broken at several trail junctions. 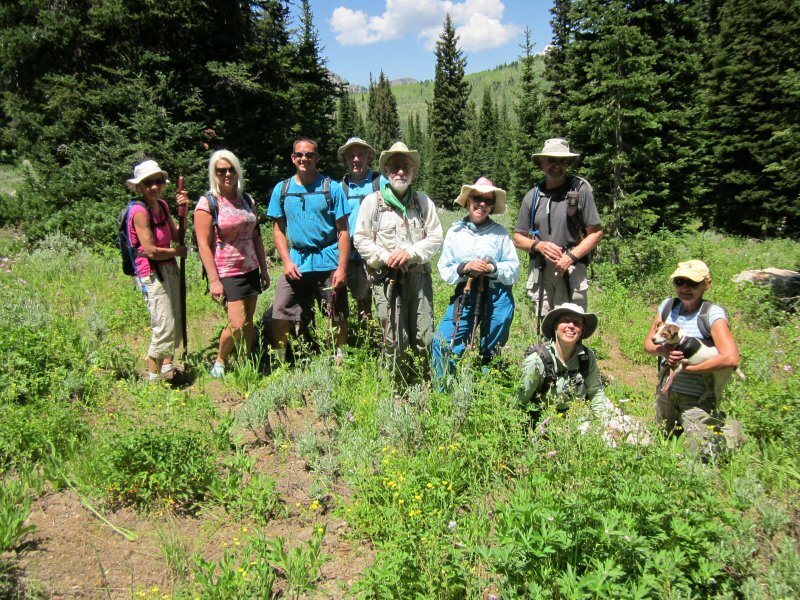 Coldwater hikers, July 8, 2012. One of 15 places where fallen trees blocked the trail. Our hikers were able to step over this tree, but bikers and other users were detouring around it.